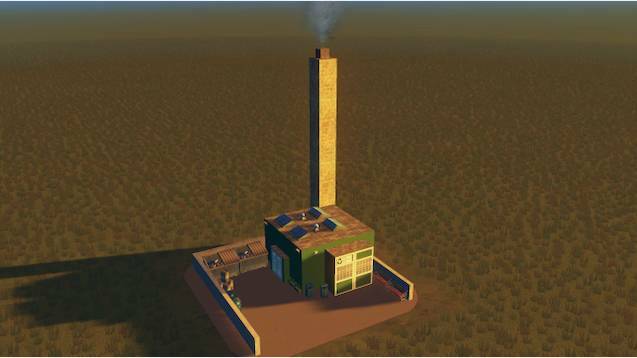 Mini Garbage Incinerator is much smaller (most stats are 10%) of the vanilla garbage incineration plant. It is also very clean, so you can place it close to your residential areas. It is ideal for very small cities, or far-away islands and neighbourhoods that are far from bigger garbage processing facilities. No custom props or mods are needed. It works with or without After Dark and Snowfall. I made the model and the textures. It is not very beautiful, but at least it looks a bit different from the vanilla garbage plants.